In the late 1980’s, the first bushes and trees were started to be planted in areas where previously only a few palm trees grew. A few years later it was built the Cactus and Succulent Garden. In 1998 it was completed the first phase of the Native Plant Reserve and Migratory Birds, whose second phase began in 2010 and is expected to conclude in 2014. During all this time, it has been constant the adding of new species; actually, a garden is never finished at all, but it is subjected to a continuous evolution. 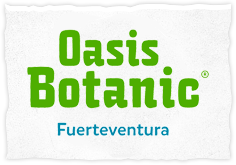 In case of Botanical Garden of Fuerteventura, there is enough land available to undertake expansions and improvements for several years.